While Ulloos were in China two terrible natural disasters struck this part of Asia: Tropical cyclone in Burma and the earthquake in China, both resulting in deaths and injury to tens of thousands and uprooting lives of millions. Our thoughts and deepest felt sympathies are with all those affected. Response to the earthquake disaster has been swift and decisive led by the Chinese political leaders. Throwing all its resources to save lives and provide needs of millions of survivors. We salute the Chinese leaders and the proud and brave people of China! emperors and their families. Other imperial complexes we have already seen are somewhat dwarfed by the grand scale of this place. 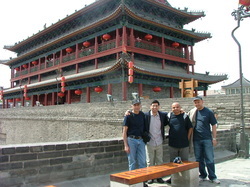 (Raj) The Great Wall is a short drive away from Beijing. The scale of the Wall is impressive not only because of its length but also due to some of the arduous terrain it occupies. Commenced in the 7th century BC it has since then been extended, strengthened and rebuilt over centuries – as is the section we climb. Built to protect the Chinese Empire from hostile foreigners, the wall also served to keep out migrants and to control trade. Much of the wall is in ruins but the part we visit is in excellent condition. On an earlier visit, to another part of the Wall, I had ventured beyond the end of the re-built section to see where the ruined wall began – having mostly collapsed into heaps of rubble, it was certainly a ruin! One modern myth persists that the Wall is the only man-made structure that is visible from the Moon. If you can see a human hair from two miles away then you may be able to see it from the Moon! Whoosh, whoosh, whoosh, swish, swish, woosh!! Today Urroos in a prace corred Xian in China. That not easy to say! What "China"? That easy to say!!! No you stupid! I mean "Xian"! That not easy! But game much simprer than saying Xian. 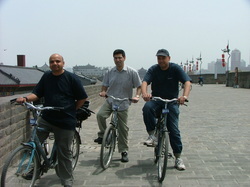 Urroos hire bikes to ride on top of the warr of Xian! Warr of Xian as ord as time itself, maybe even order! THE GREAT WARR OF CHINA BIKE RIDE CHARRLANGE!!!!!!!!!!!!!! This man corred Sudesh. He word famous erectroconductive physisit or something rike that! This man Samji. He expert accountant! Maybe he count number of mirles they wirr ride to the nearest inch. This man corred Saif. He mechanicar engineer. Maybe he fix bike if it break down whirle riding on warr. This man corred Raj. He papermaker but not much use at anything erlse! So question is which man wirr forrout of bike ride charrlange? Wirr it be Sudeshi! or wirr it be Samji? or wirr it be Saifi or Raji? Sudeshi or Raji, Saifi or Samji? Samji or Raji? Sudeshi or Saifi? Come on we havn't got orr day!! They buirld another Great Warr of China by now!!! So bet, bet, bet!!! OK Urroos now on their bikes ready to go!!!! It a bit hot day in'e??? Maybe corld beer at end of ride in'e? They are off!! Oh rook at Raji he werll ahead of the game!!!! That not usurlly rike him!!! But rook Sudeshi not taking it rying down!!! He Macho Man with much muscle who must take the read!!!!! He run the Rondon 10K without much effort!!!!! But Samji not much behind he arso run 10K with Macho Man and beat many records!!!!! They werll into the race now! Pedder, pedder, pedder you Urroos!!!!! Oh no!!!!! But what is happening with Saifi????? Oh no!!!! He turn around and give up!!!!! His bike give up or run out of petror!!! That no good!!! Saifi, you rubbish!!!!!! 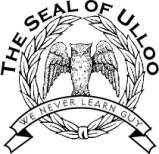 You no keep up with rest of Urroos!!!!! You rlet side down!!!!! So, if you bet on Saifi roosing this time you a WINNER!!!!! CONGRATURLATIONS!!!!!!!!!!!!! 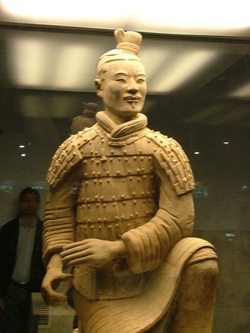 (Raj) Of course people come here to see the Terracotta Army but Xi’an has much more to offer. The walled city of the medieval capital is stunning. 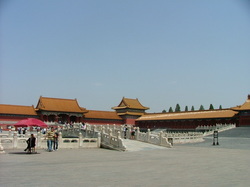 The present perimeter wall was built, starting in 1370 AD, by the Ming Dynasty. 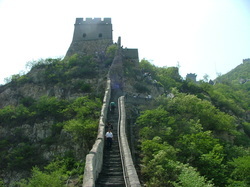 13.7 km in circumference, 12 meters high and 15 to 18 meters wide it is paved at the top so that one can walk around it. Instead, we hire bikes and pedal the entire length. Saif drops the idea after a few yards and turns back to return the bike. The rest of us complete the ride and get to have a good view of the town all around. The afternoon has turned quite hot, so we reward our efforts with refreshing, ice cold beers. 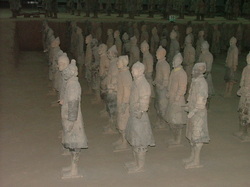 (Raj) The terracotta figures were made for the Qin Shi Huang, the first emperor of China who ruled from here over 2000 years ago. Discovered in 1974 by farmers digging a well, once excavated, the head-count showed there are 8000 soldiers, 520 horses, 150 cavalry horses, and 130 chariots. Other figures include officials, entertainers and musicians. Each figure has a unique face. Many are masterpieces fashioned using clay and metals. The discoveries also included swords, spears, battle-axe, scimitars, crossbows and arrowheads. Even after 2000 years of burial some swords still remain sharp. These weapons were coated with chromium to keep them free of rust. Chromium would not be used by the West until the 18th century! 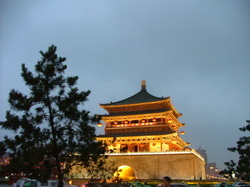 (Raj) Although we do not have the time to visit all of Xi’an’s historic sites, we do get to see the Drum Tower and the Bell Tower. 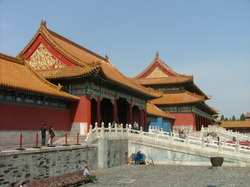 The buildings are impressive, stunning and distinctly Chinese. 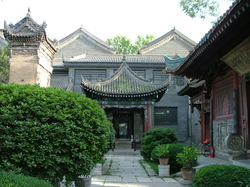 (Raj) Somewhat unexpectedly, what is also distinctly Chinese is the architectural style of the Great Mosque of Xi’an. 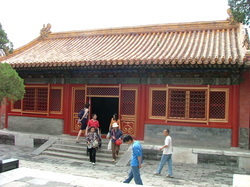 Founded in 742 AD it is the oldest mosque in China. Traditional mosques are noted for having one or more minarets from where the azaan is called. This building has no conventional minaret. (Raj) Since only Muslims are allowed inside, Saif enters and we wait for him in the garden. The pictures he took show that the mosque’s interior is also very much based on Chinese style. 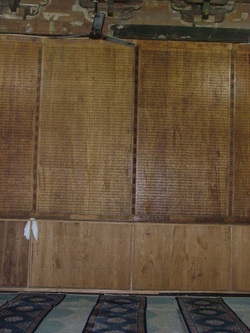 One unique feature is the engraving of the entire Quran on wooden boards lining the prayer hall walls. Almost all are in Arabic, but once more breaking with Islamic convention, some are inscribed in Chinese characters. 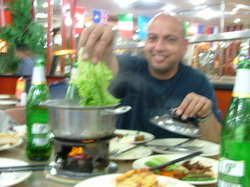 (Raj) I had been to Beijing once before and, during that time, enjoyed the food. But for some reason, this time I gave up on it almost on arrival. Perhaps it was due to feeling a little unwell for the first two days, but I would never recover the appetite for it and made do with McDonalds and Kentucky Fried Chicken for the rest of our stay. Sad really, given that we are in a country that is renowned for its cuisine. 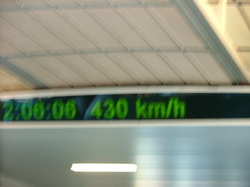 (Raj) The electronic speed display in the carriage reads 430 km/h. We are in the Maglev train levitating our way from the airport to the city. Given the almost total silence and stability of the train, the speed is not noticeable, but the rate at which the view of the outside whizzes by tells us we are experiencing a ride in one of the fastest land based transports. What disappoints is how short lived the joy ride is – lasting well under ten minutes. 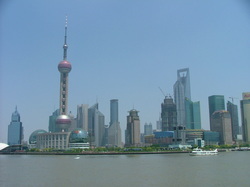 (Raj) On the Pudong side of the Huangpu, the city has a very impressive skyline of high and beautifully designed modern buildings. Dominating all is the tall, futuristic, Pearl TV Tower. 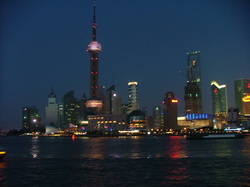 The view at night of the lit up buildings is stunning. 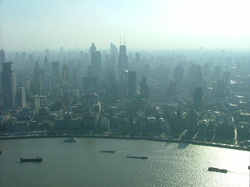 (Raj) A view of the other side of Shanghai from the tower. 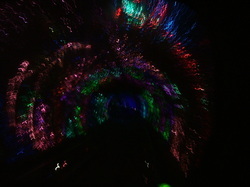 (Raj) Light show in the glass-pod train that took us, through a tunnel under the rive, back to the other side. 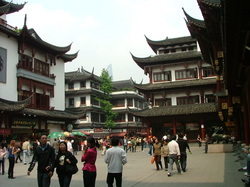 (Raj) One shopping area is a cluster of beautiful wooden buildings built in the old architectural styles. I really like it. While having a beer the chatty waitress informs us that not all the buildings are old and many have been renovated. But there is a genuine residential old part of the city. the older city presents a contrast to the new. Narrow streets are lined with low houses and shops. the buildings and over hundred people have died." Tiananmen Square, Forbidden City, The Great Wall, Beijing’s old Hutong district LamaTemple – most renowned Tibetan Buddhist temple outside Tibet. 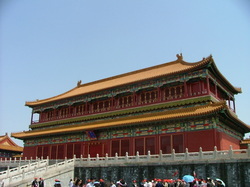 Temple of Heaven. As a bonus we also managed to see the Olympics stadium from outside." " I was most impressed with how modern the city is. It seems to have decent public transport and the streets were clean and not too congested. Currently they are getting ready for the Olympics to impress the rest of the world. Everywhere you look the tree and shrubs are neatly trimmed and flowers are in full bloom. It is a fantastic effort and all the people that I had spoken to are very proud of the fact that they are hosting the Olympics games." "Xian was impressive! The terracotta army on display was fantastic. It was good that we managed to see this world class archaeological find of the last century on our first day in Xiang since it was raining most of that day. We were able to see the city itself on the second day which turned out to be glorious sunny day as evident by the fact that Sudesh’s had managed to acquire a “salt” necklace and I had my unprotected scalp burnt which started peeling immediately after our bike ride all the way around the wall!" walking along the bank of the yellow river and of course the soothing foot massage!" assimilating technical know-how. The next thirty years will be about how a more self confident China reaches out and shapes the world for its own benefit. Already its neighbours in central Asia, many countries in Africa and Latin America are heavily dependent on Chinese economic aid and development and in its return China gets all the raw materials it needs for its rapid development." " In hindsight we achieved a great deal and as usual managed to pack a lot in and as always there were plenty on memorable incidents that we will talk about over the years to come."